When it comes to making iced coffee I am a purist. I don't really drink it that often, but when I do I really love to keep it simple. 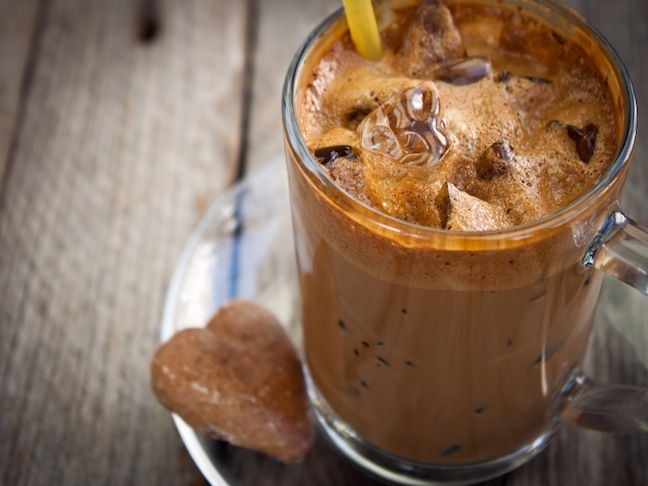 Coffee, coffee ice cubes, cold milk = perfect drink. I don't add any crazy whipped cream or get out a blender, it is all just added to a cup and shaken up. Here is how I make my simple iced coffee drink. How do you make it? Step 1: Stir the desired amount of sugar into the freshly brewed coffee until it dissolves completely. Chill the coffee in the fridge until at least room temperature or cooler. Step 2: Place the ice cubes in a large glass. Add the chilled coffee and cold milk. Stir and serve!